We’re almost two months in to the 2018/19 campaign, and things are going well at the Indodrill. 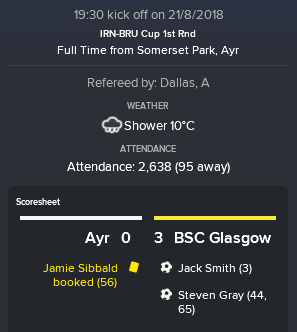 Our tough start to the Lowland season has helped us hit the ground running, and we pulled off arguably the club’s best ever result in the Irn Bru Cup! I decided to keep essentially our starting eleven on the field for the trip to Somerset Park, with Danny Stoney coming in to change our normal 4-4-2 into a more solid 4-4-1-1. Ayr United clearly saw an opportunity to give some of their young guns some time on the pitch, with seven changes in total from their weekend Championship fixture; even so, the Honest Men were major favourites! However, it took us just 3 minutes to open the scoring through Jack Smith (the loanee, not Smudger… that might get confusing as time goes by!) 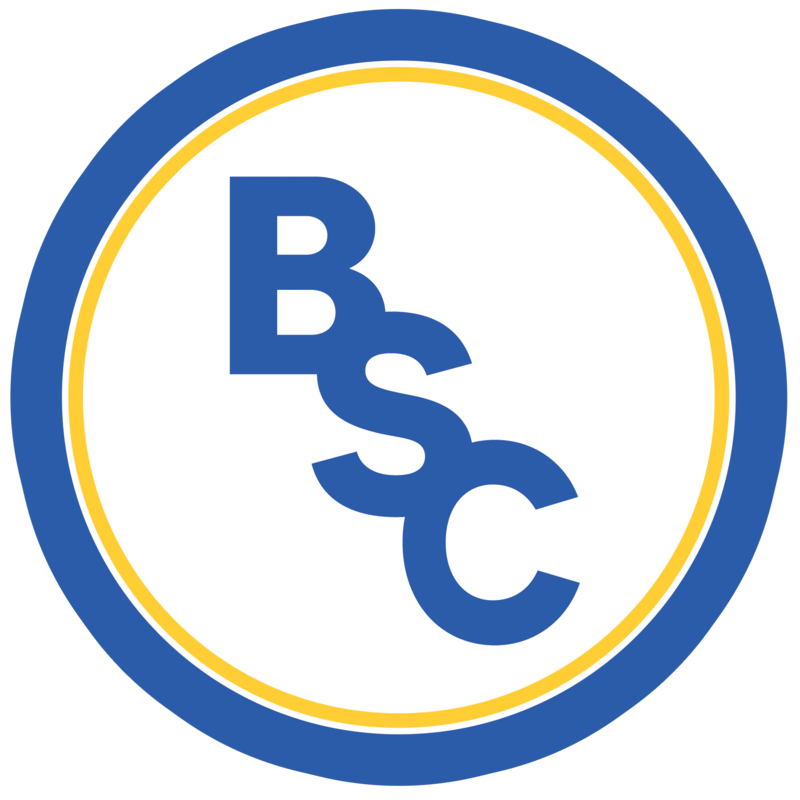 and the BSC boys continued to grow into the game. A couple of goals from Livingston loanee Steven Gray in central midfield later and we had delivered the biggest shock of the round. Sadly, it didn’t lead to our first “international” tie as we then found ourselves away to East Fife and ultimately being edged out by a single goal. In the Lowland League, we’re finding that most opponents are content to pack their midfield and try to frustrate us. The really promising thing as a manager is that we are generally finding ways and means to win in the second half, with three wins and two draws to our name thus far. On the downside, both draws saw our strikers miss guilt-edged chances in the dying minutes which we really need to convert going forward. Interestingly, the standout performer to this point has been big Martin Grehan leading the line, creating chances for others as well as finding the net a few times himself. Looking at the squad we planned meticulously, it’s a case of ‘so far, so good’. Our key men from last year are seen as the influential figures in the dressing room, and I’m hoping a couple of them step up to take the leadership roles that Stevie Murray and Ross McMillan vacated in the summer. Having a smaller tight-knit group can only be a good thing as time goes on – especially when we reach the winter slog and end of season run-in. 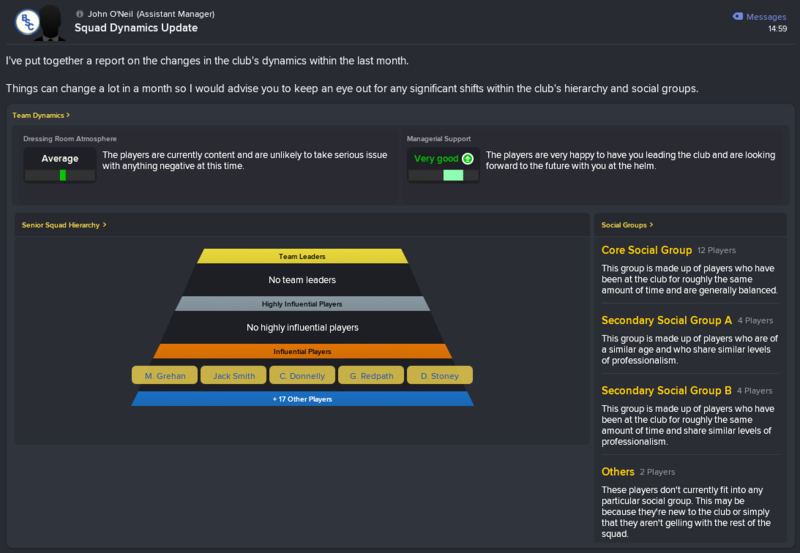 The backroom staff has seen a very slight tweak as well, with John O’Neill taking over as my assistant while Smudger’s dad Andy has reverted to first team coach. It turns out that he is just too nice a guy to bring the threat I need…who would have thought I’d miss Michael Moore so much? We have now returned to the ‘good cop bad cop’ routine in the hope that it works as well as before. There is no need to change our overall focus after a really promising start. I’ll persist with the 4-4-2 and 3-5-2 on a game by game basis, and have to remain faithful to my young starlets. The end of last season taught me that the club will be rewarded for such an approach, and despite my one season focus as things stand it is absolutely the right thing to do (both short and long term). Looking at the table is something I’m keen to avoid until the turn of the year. 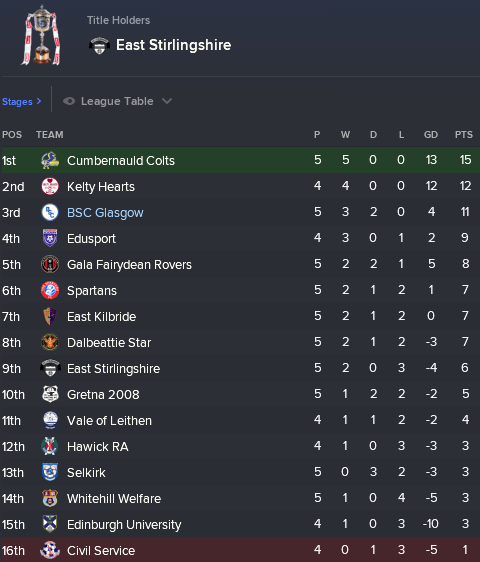 It is impossible to ignore both Kelty and Cumbernauld, however, who have 100% records in the early going. They are setting the scoring charts alight for now, but we’ll have our opportunity to face them soon enough and test our mettle. The other thing to point out is that every other side in the competition have suffered a defeat within the first five games – this league gets tougher and tougher to battle through, but this is no time to even contemplate failure. We’re Not Here To Play.. we’re here to win!